Just look at this handsome fellow, modelling one of the new line from Ver-saber! He's just the coolest dude leaning against his rocks. He likes dinosaur watching and loves to go out clubbing! You can find Caveman Klob HERE and don't forget to check out the rest of this fortnight's new digis. Ah, there is nothing better than a lovely cake. Actually, yes there is; a multi layered cake! 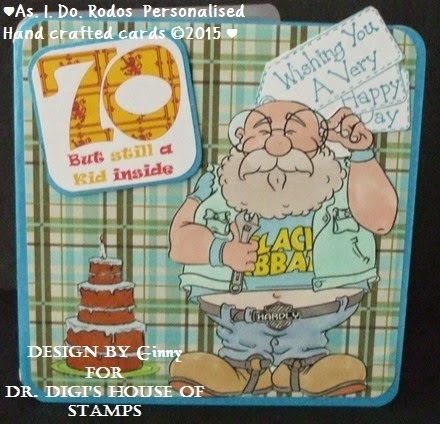 Buy your Birthday Cake digi from the store and don't forget the sentiment too! 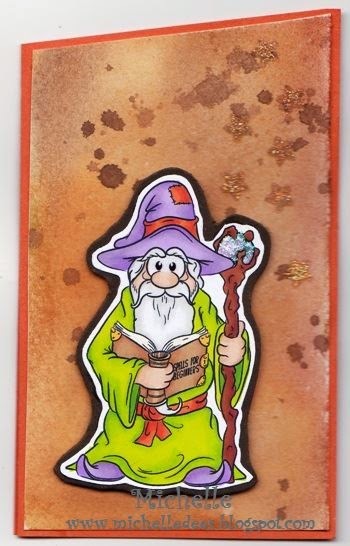 Did you also wanted to be a wizard. 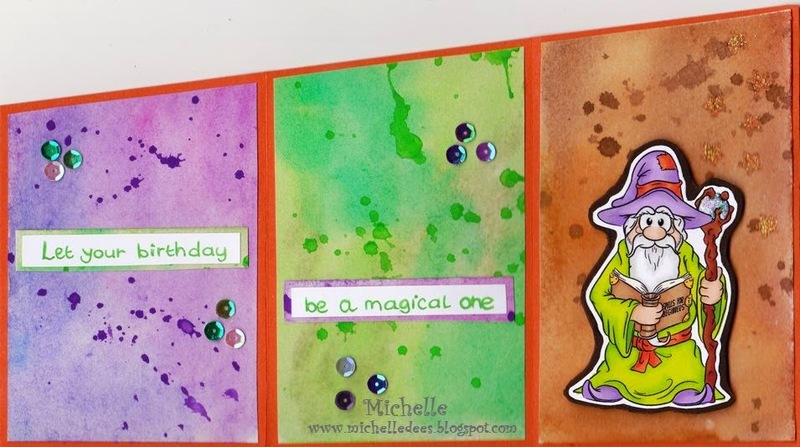 I did and hoped making this card I would get some of his magic transferred to me. But as it seems it did not work. Maybe I have to practise some more. The image is called Spell for Beginners. 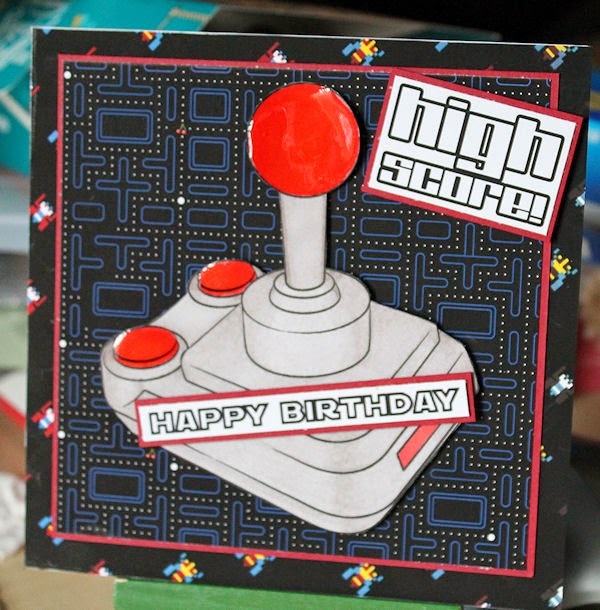 And HERE you can see how I made the card. Want some more lovely images take a look HERE. It's still a bit nippy outside so teens everywhere have an ideal excuse to stay indoors and play games! At least if they use this type of joystick their Dads might understand some of what is going on, none of these controls with 1500 buttons on them with teens instinctively knowing which button does what. The only time I ever tried with a fancy controller I shot a member of my team then shot myself in the foot. At that point there was much eye rolling and I decided reading a book was the obvious solution! Just a quick cuppa today - nothing like it first thing in the morning! Cuppa digi available in the store for just 50p! Another entry for my travel journal, and all those decisions to be made. 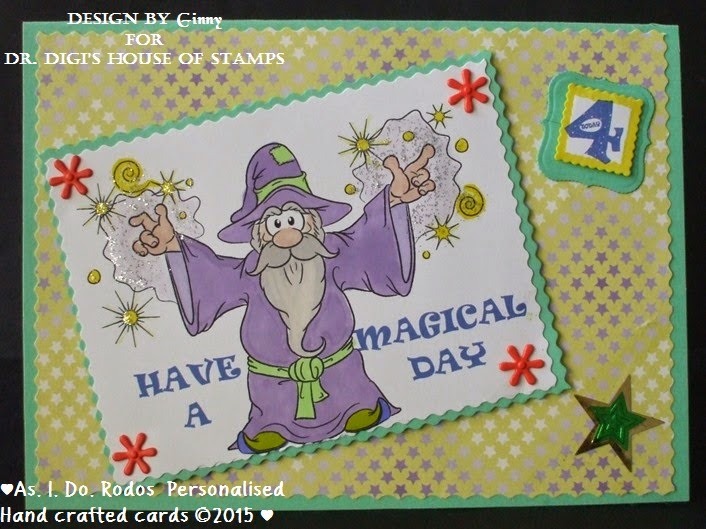 Today I've gone with Mystic Mabel from Dr Digi's House of Stamps, just to remind myself how much easier it is now with the Internet. So much easier to travel with our laptops and phones, than it was to carry around that crystal ball! Who needs that bloke from 50 Shades of Grey when you have Vic The Viking coming to your rescue! 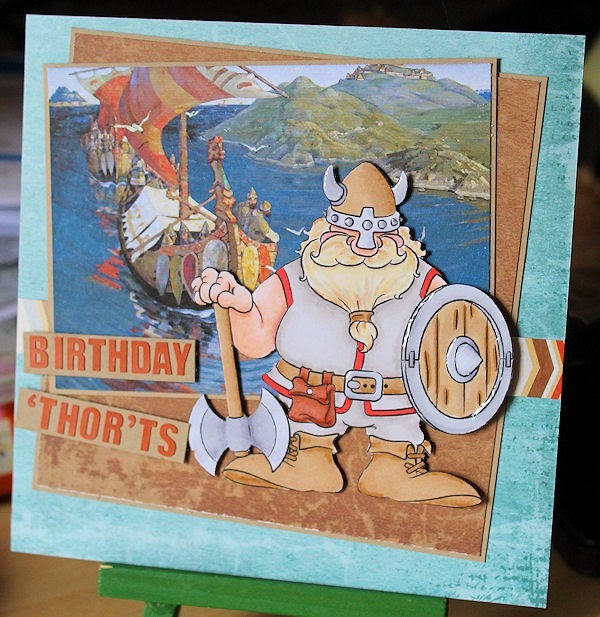 He's come ashore to make sure your birthday is everything you wish it to be! You can find Vic HERE and you can find Vic with his boat HERE. You're never to young to have Nessie wish you a Happy Birthday!! 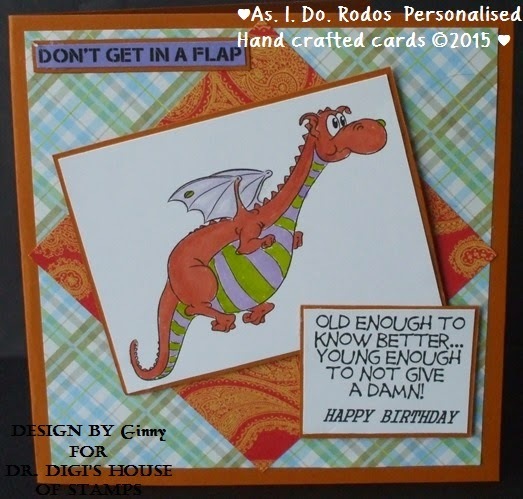 And on a dinosaur egg shaped wobbler card too! Nessie is available in the store for just £2! 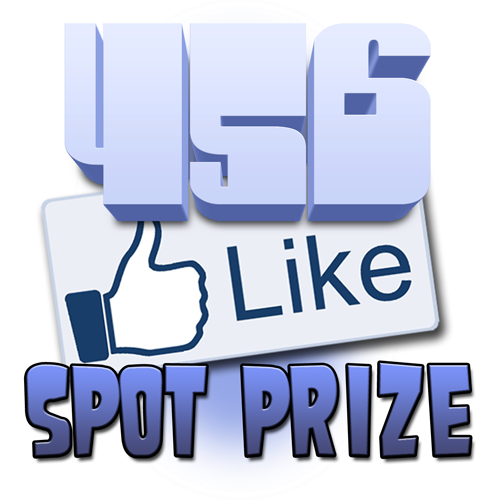 Sunday's not only newsletter day, but it's also spot prize day today. Unni Lindermark was lucky enough to appease my o.c.d and hit the numerically pleasing number 456, when she liked our Facebook page. So Unni gets her self a free digi! 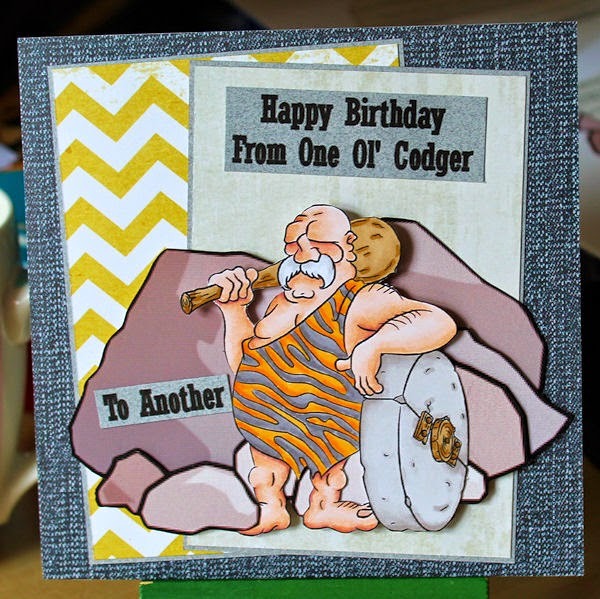 here a great card for men. 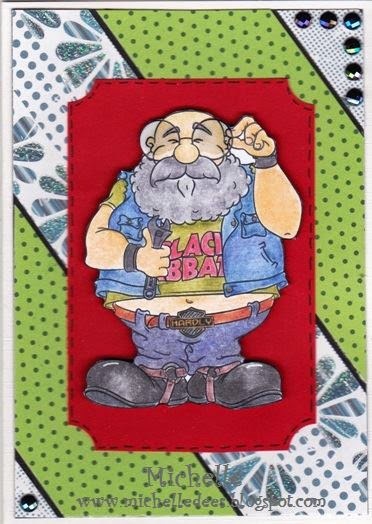 Especially for the older biker. I love Aubrey. He looks cool. And I think he hasn't got stress at all. Of course I hope he can fit his bike with that stark glasses he has. Have a nice weekend you all. Who says cats and dogs can't be best friends, Tyson and Topsy have been together since kitten and puppyhood and despite her size Topsy is clearly the boss. Much like between my cats and my Mum and Dad's dog Max. Frodo will put his head in Max's mouth (Max just gives it a thorough wash) but if Max goes near Frodo's latest box of choice then there will be fur flying! 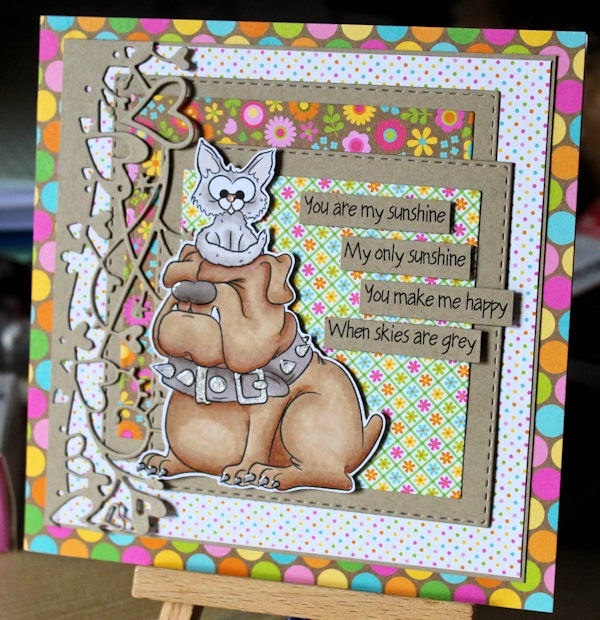 You can find Tyson and Topsy HERE and lots of other wonderful stamps HERE. Hope you all have a good weekend. I'm old enough to remember these although I never actually owned or had access to one...... But I do remember being amazed at how 'instant' the photo was. And how bad the photos were! Camera digi is available to buy in the store for the retro sum of £1.50. Good morning would you have been on the Naughty or Nice list? I would have been on the naughty list there is no fun being nice! Santa has already started his Naughty or Nice list for 2015 only another 325 days! 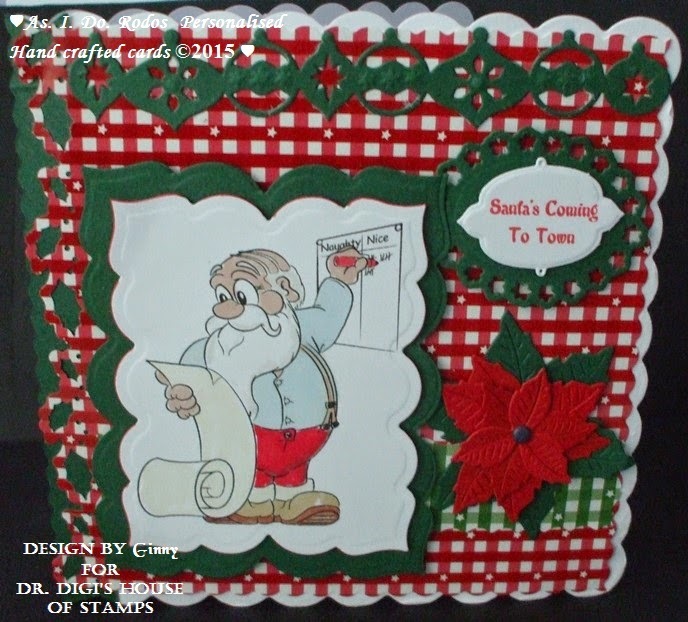 Labels: Christmas, Ginny, Naughty or Nice?